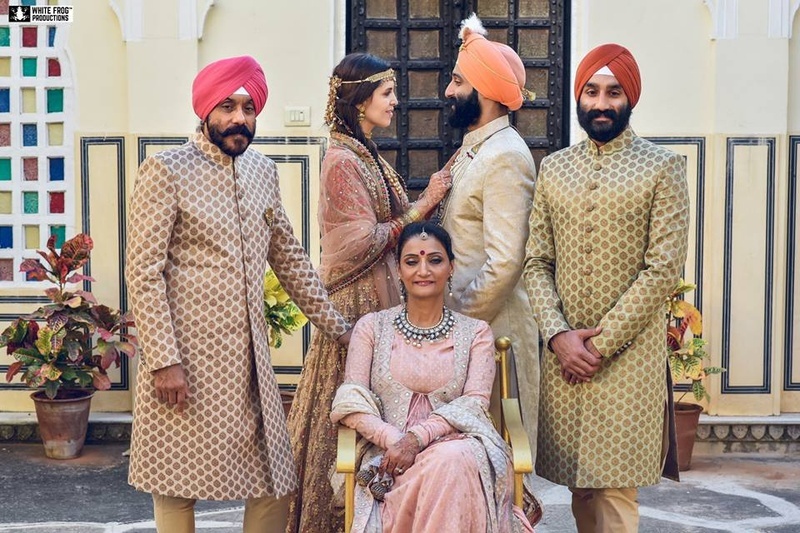 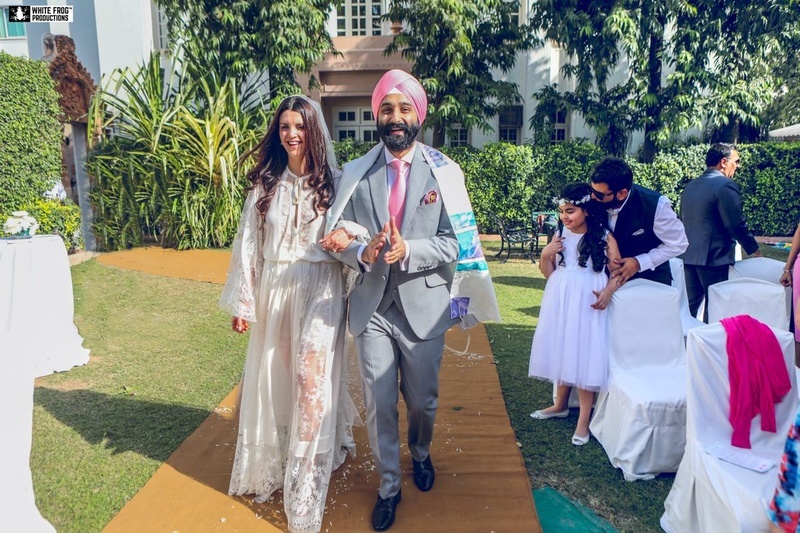 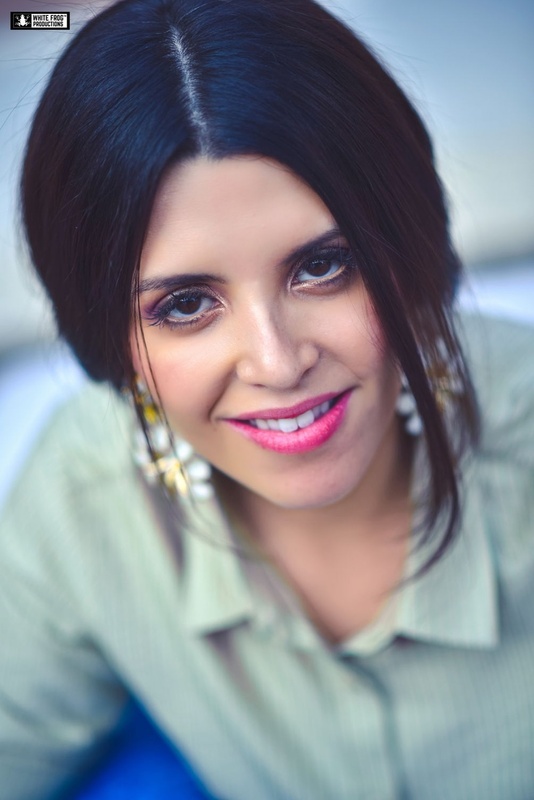 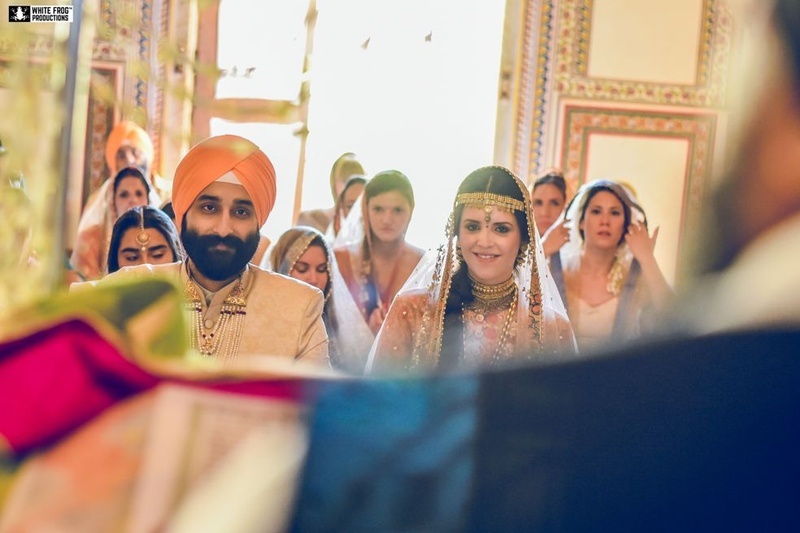 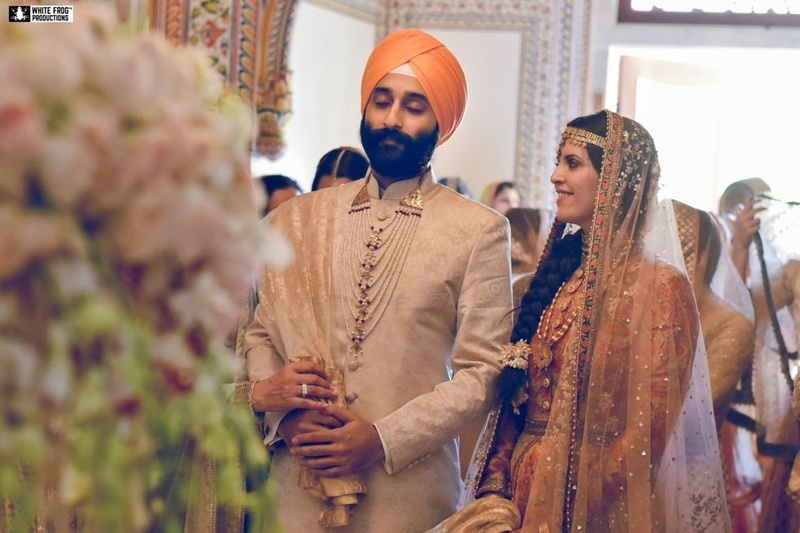 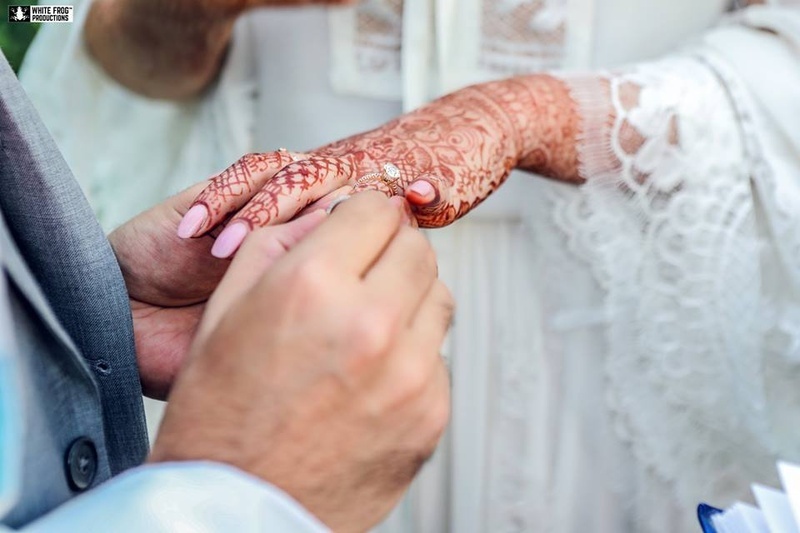 Cross-Cultural Sikh-Jewish Wedding With a Special Charm! 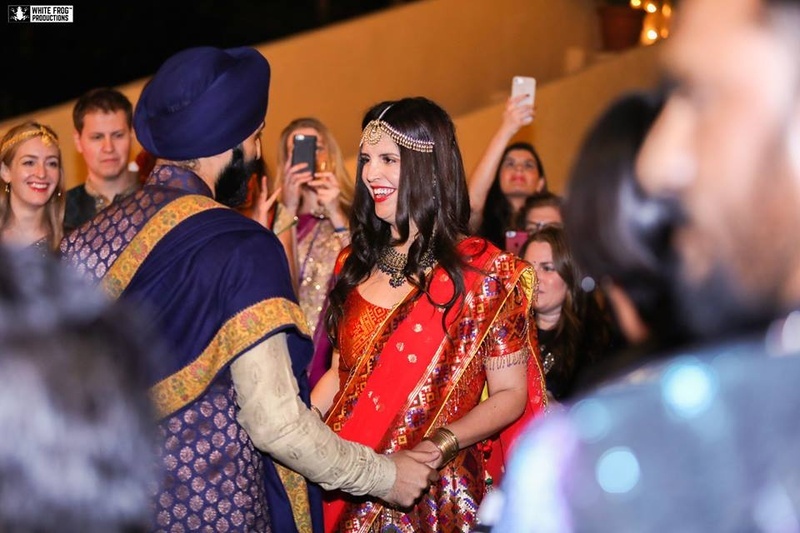 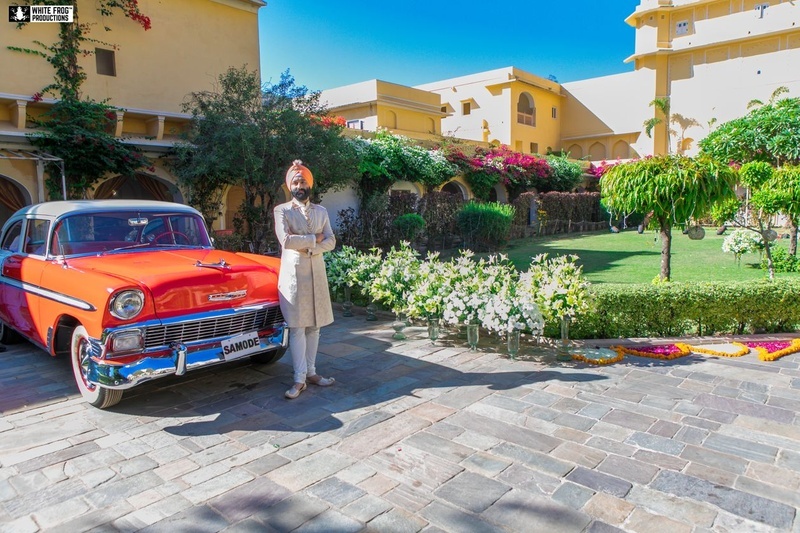 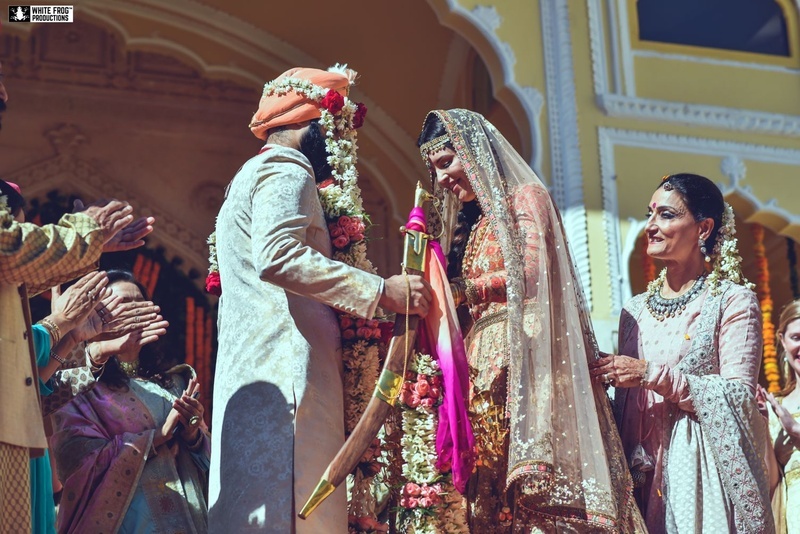 This Sikh-Jewish extravagant wedding was one of its kind. 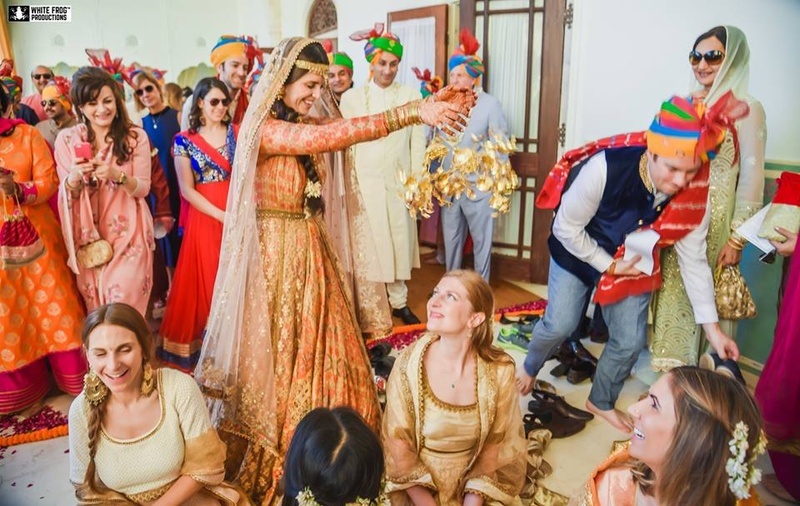 With a myriad of colurs and cultures, it was a celebration class apart. 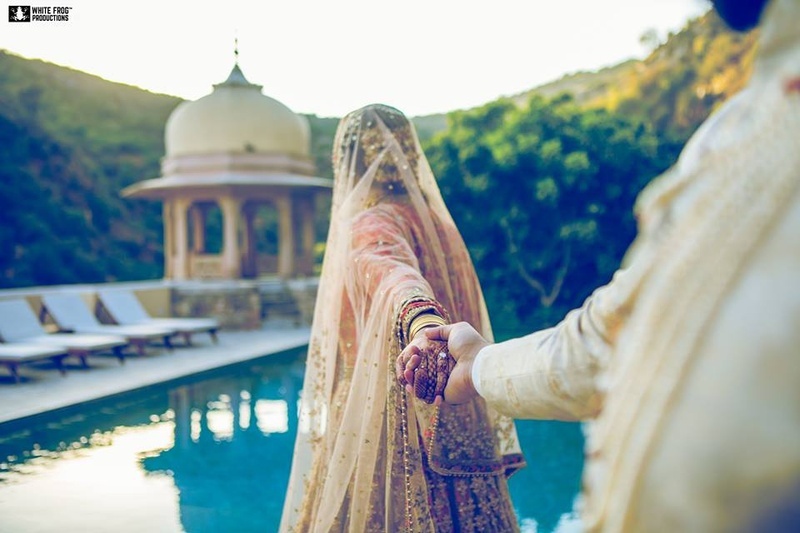 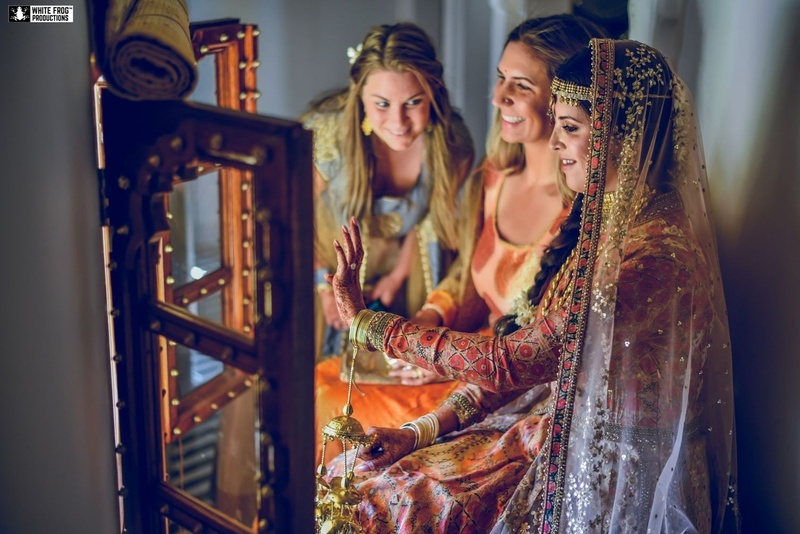 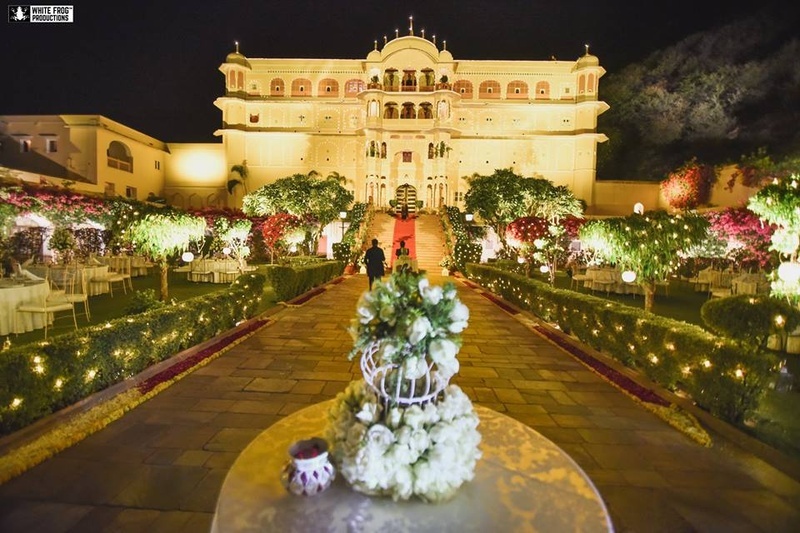 Amidts the royal setting of the quaint and opulent Samode Palace in Jaipur, Felicia and Tegh took their wedding vows. 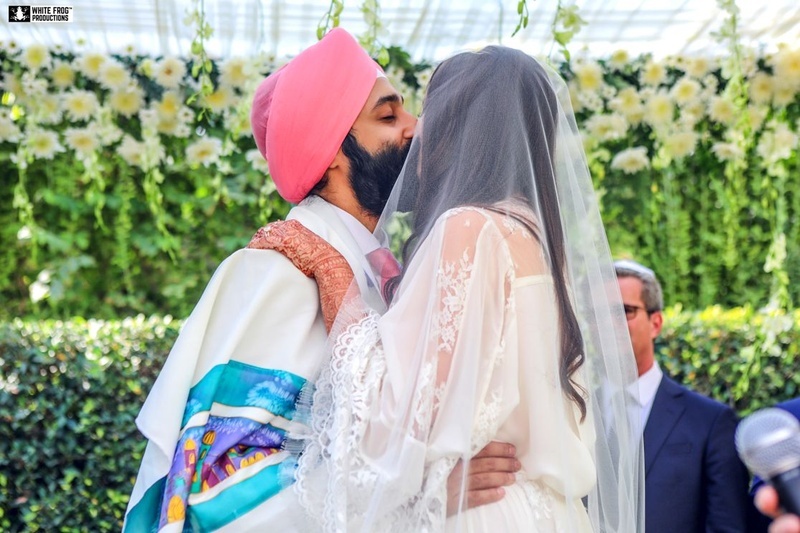 The pictures speak volumes about their camaraderie and reminds us again that love is above all religions. 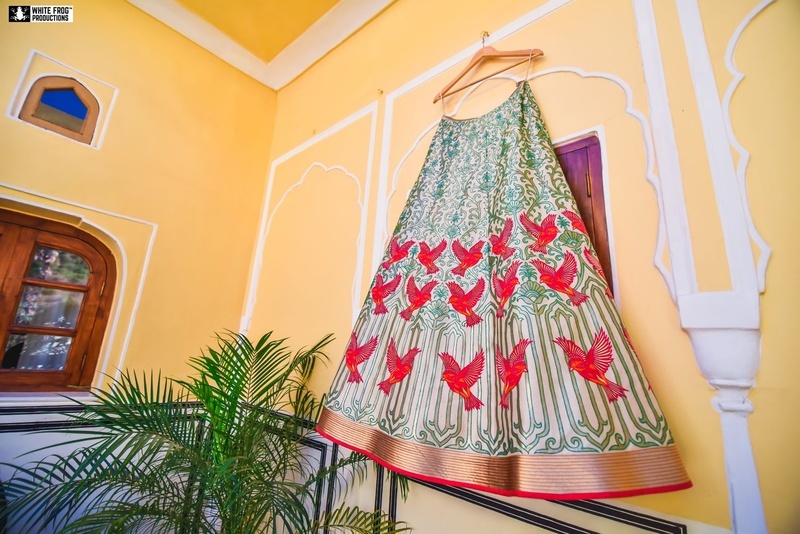 Beige lehenga with olive green and red floral print for mehendi ceremony. 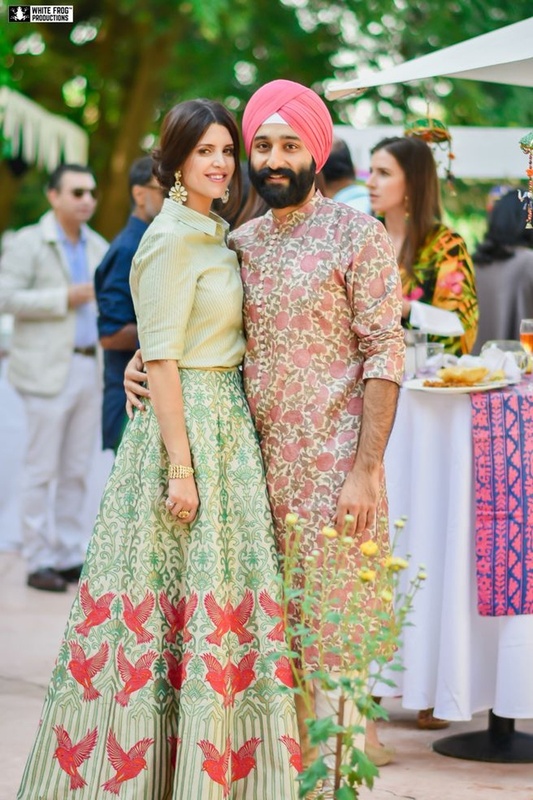 Complementing each other with floral printed mehendi outfits! 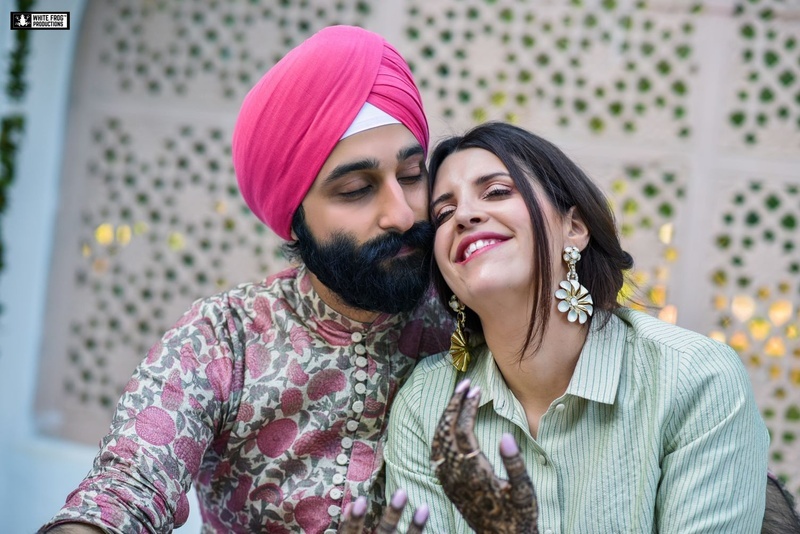 Minimal look for the mehendi ceremony. 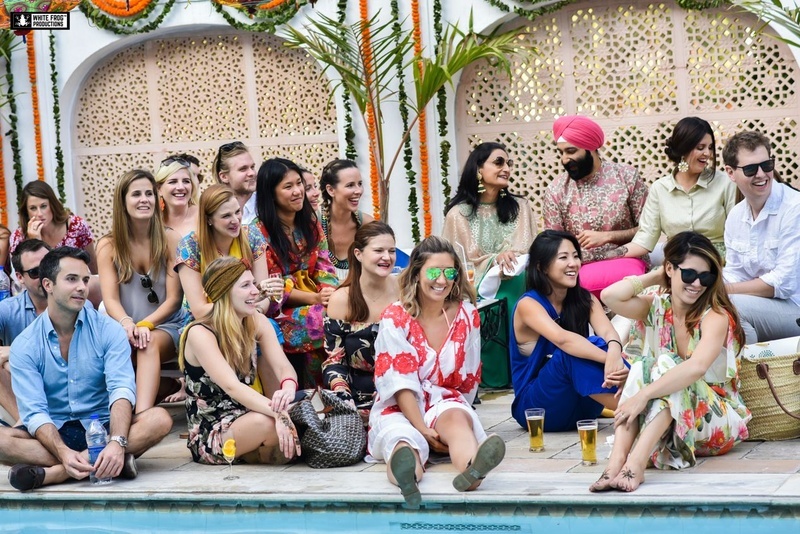 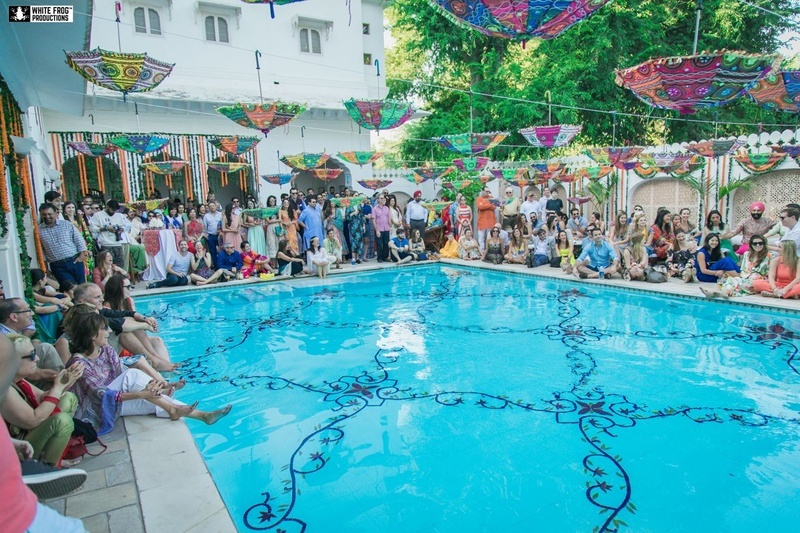 Pool side mehendi ceremony held at Samode Palace, Jaipur. 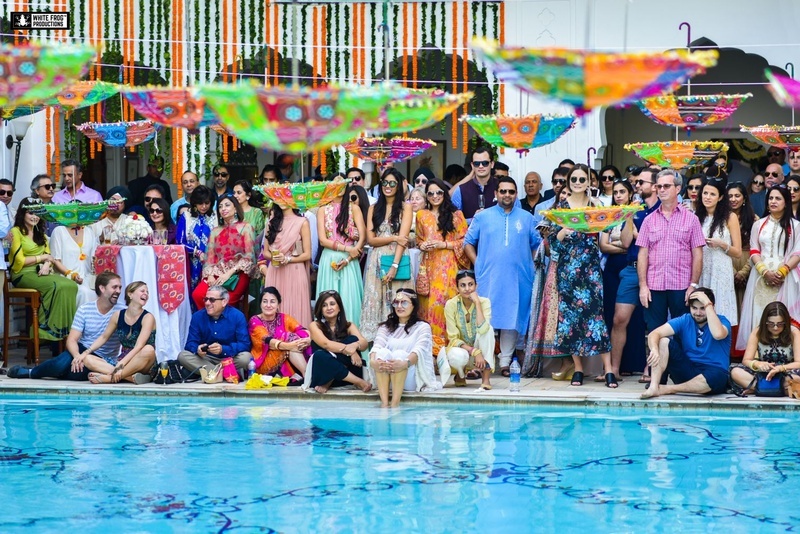 Pool side mehendi party fun! 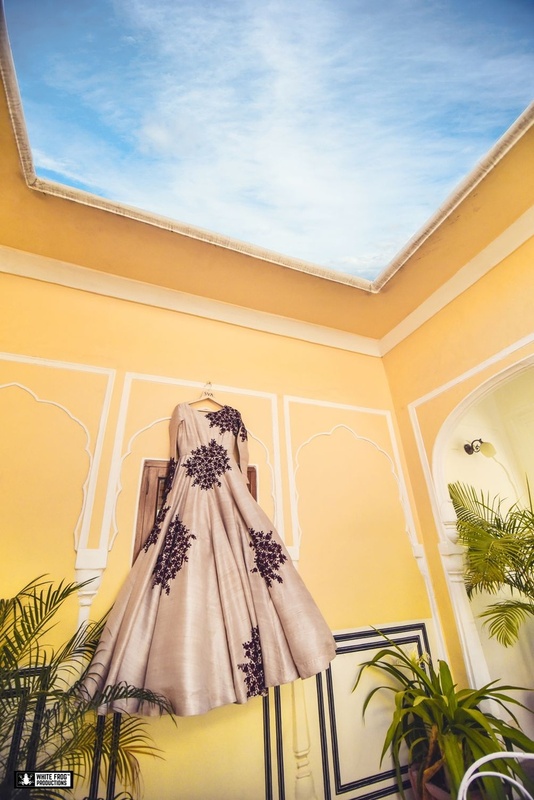 Rajasthani embroidered umbrella decor for the mehendi ceremony. 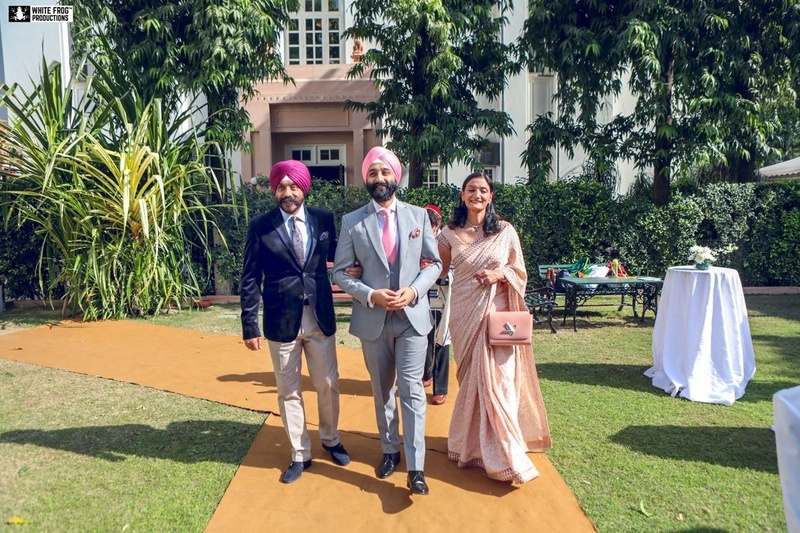 Dressed up in pastel shade outfits for the fun mehendi ceremony. 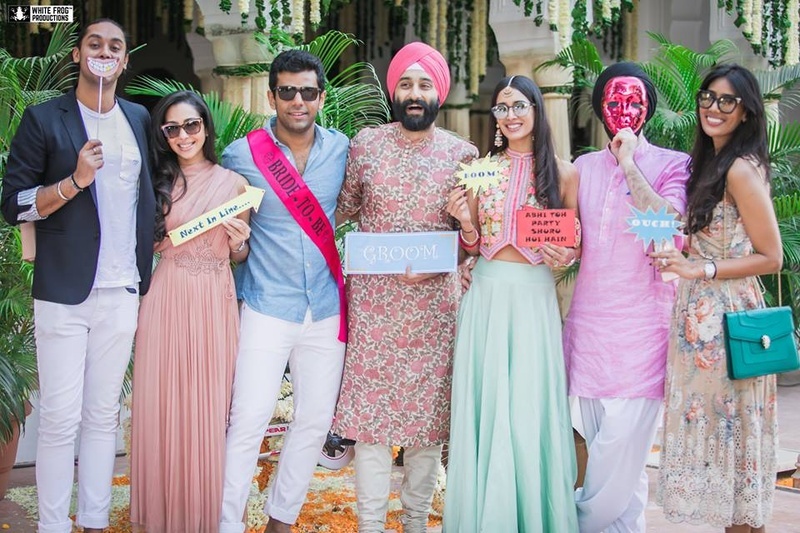 Quirky cute signages for the mehendi party! 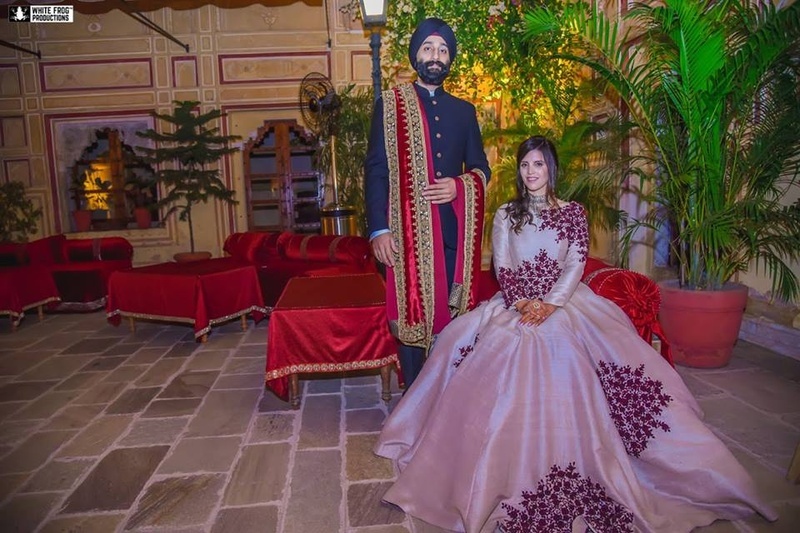 Dressed up in complementing purple and red colored outfits for sangeet ceremony held in Samode palace, Jaipur. 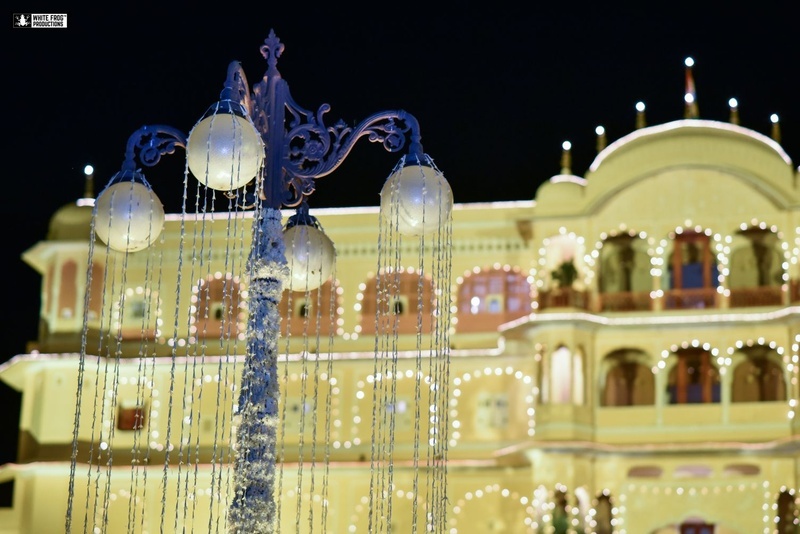 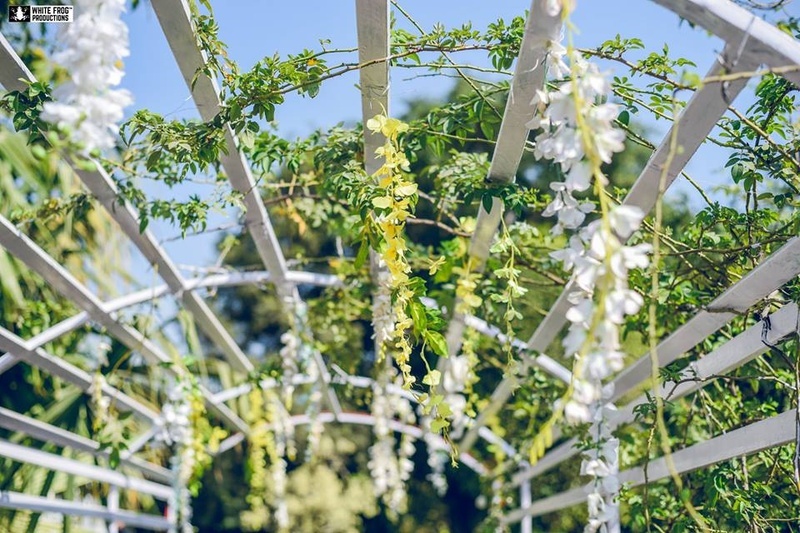 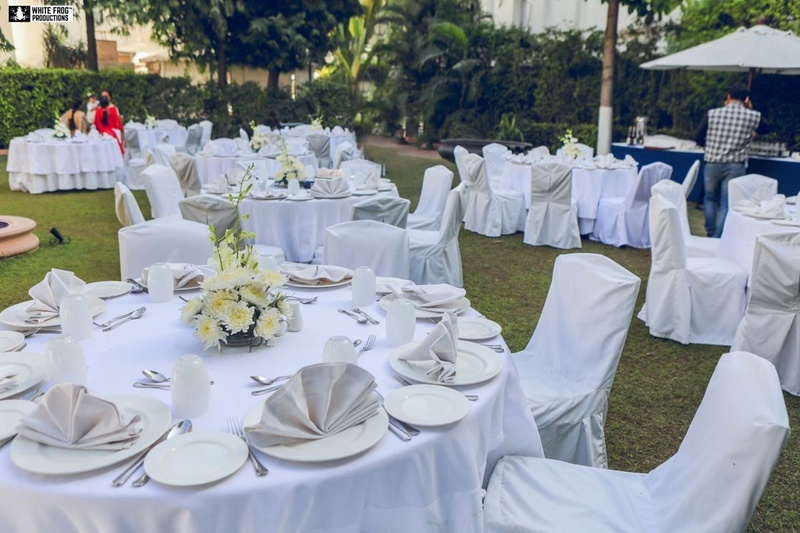 White decor for the Jewish wedding held at Samode palace, Jaipur. 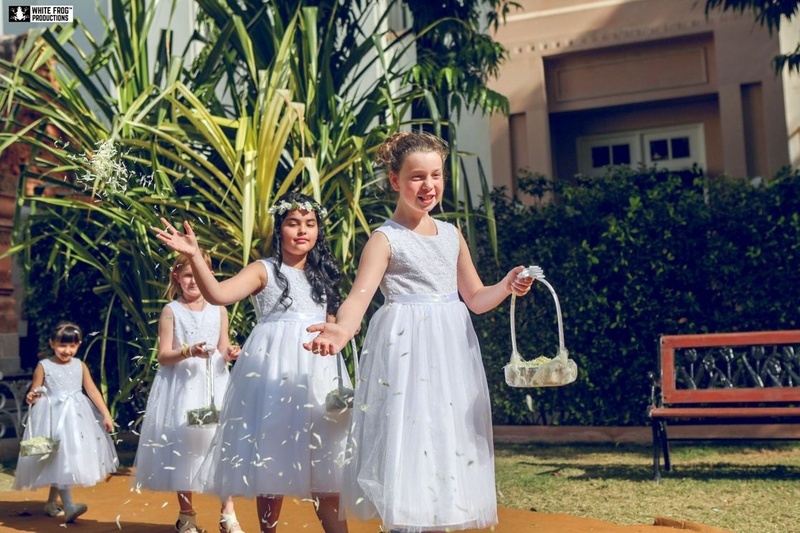 Flower girls dressed up in white dresses and walking down the aisle. 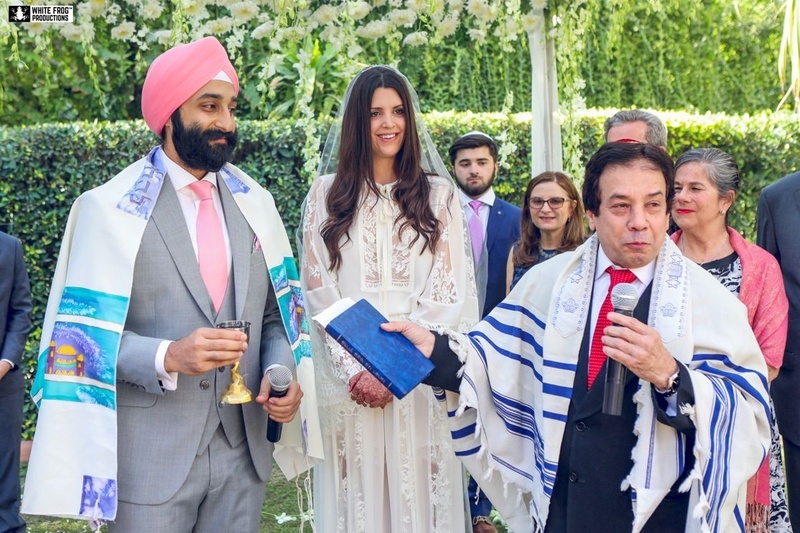 Tegh dressed up in a grey three piece paired with pastel pink tie, pocket square and turban for the jewish wedding. 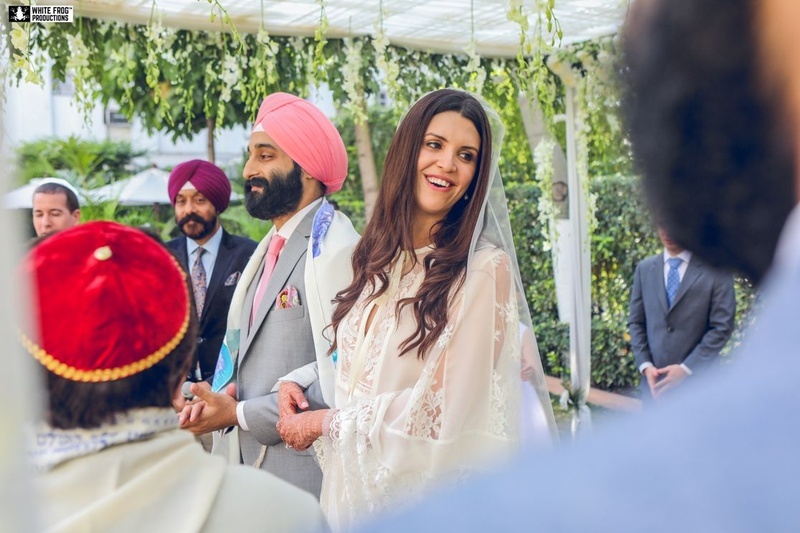 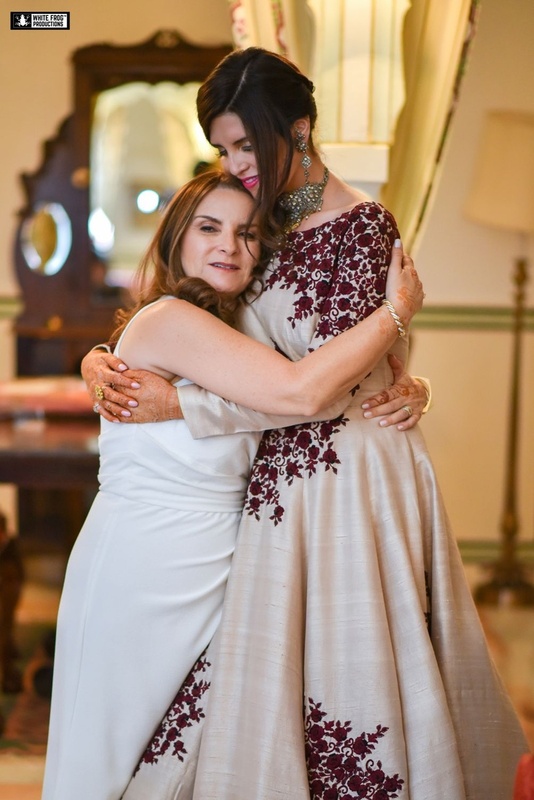 Felicia dressed up in a white lace dress with very minimal makeup for their jewish wedding held at Samode Palace, Jaipur. 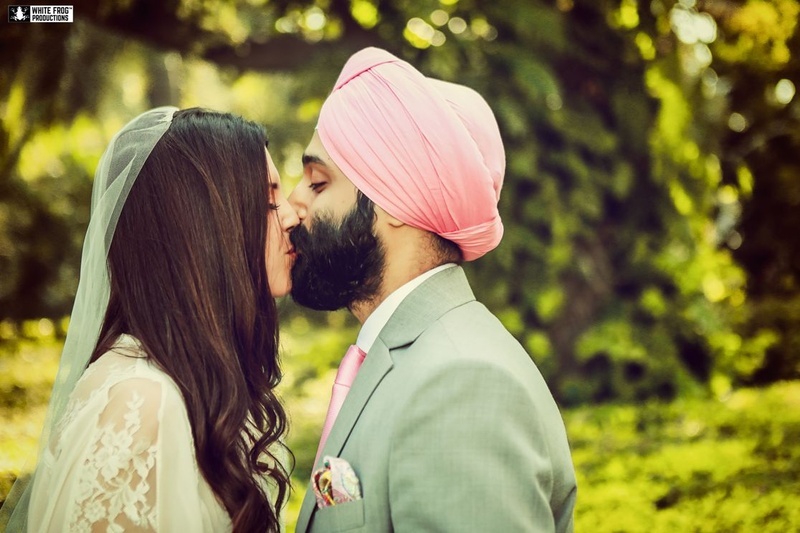 Bride and groom captured beautifully by White Frog Productions. 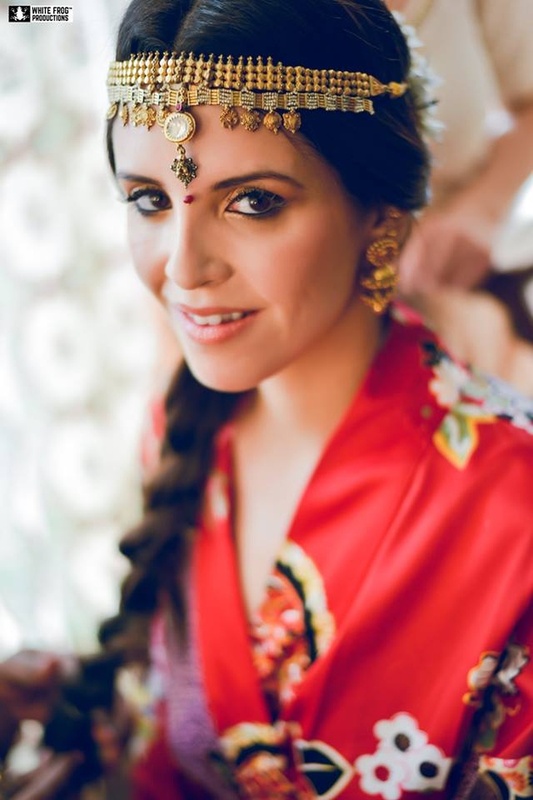 Tegh dressed up in a beige and gold bandhgala, styled with multi stringed neck piece for the wedding day! 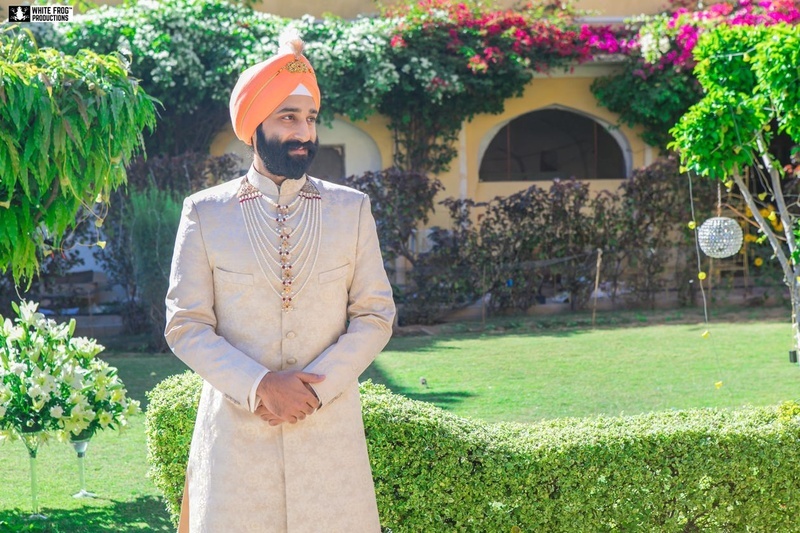 Gold and Beige bandhgala paired with orange turban for the wedding day. 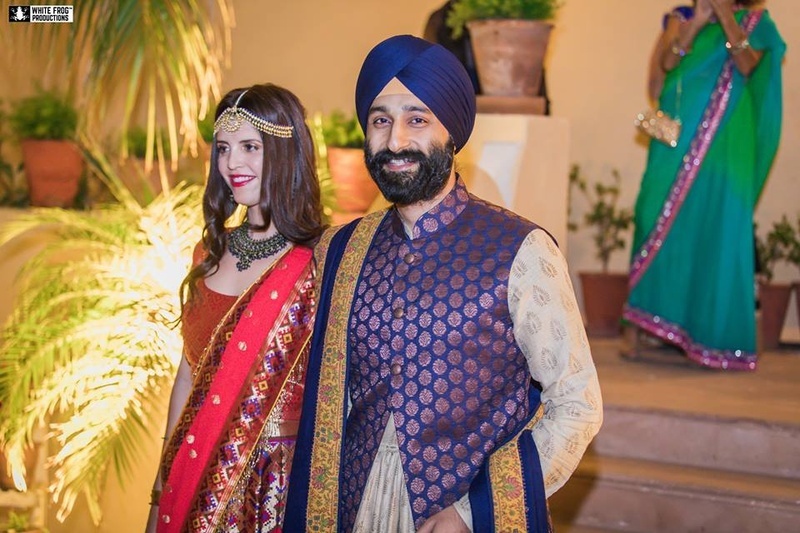 Adorned in a unique matha patti for the sikh wedding ceremony ! 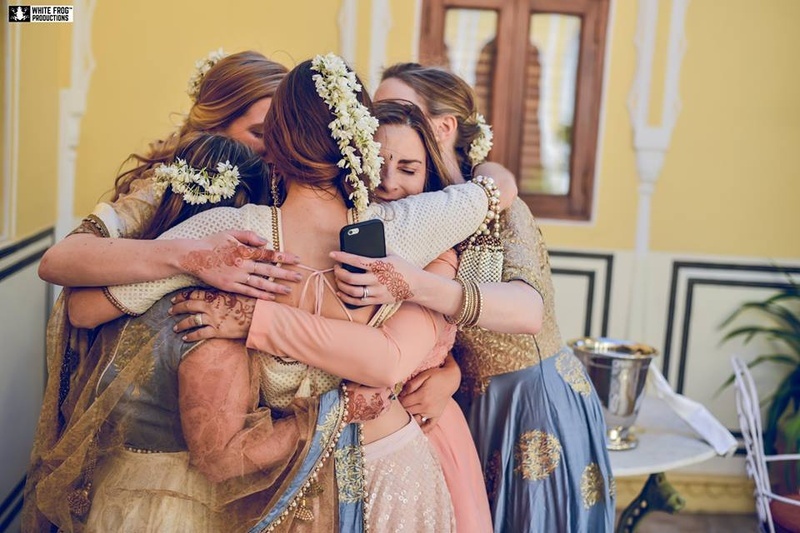 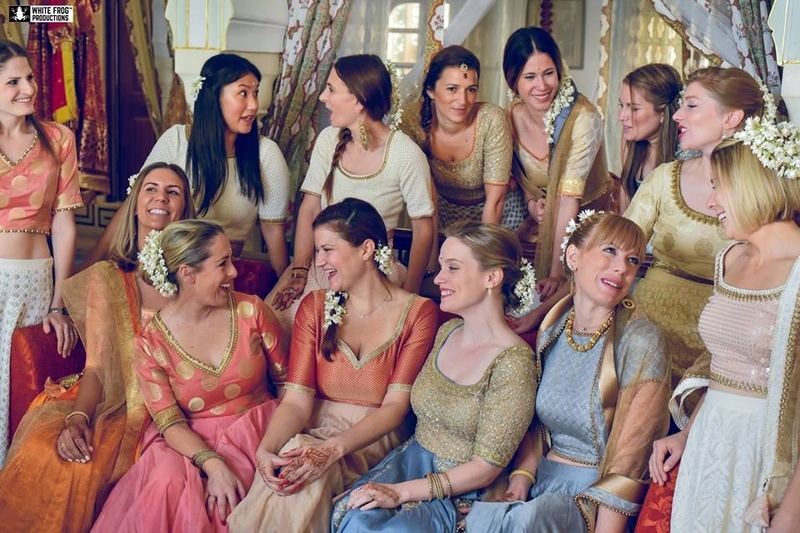 Bridesmaids dressed up in pastel shade outfits for the sikh wedding ceremony held at Samode palace. 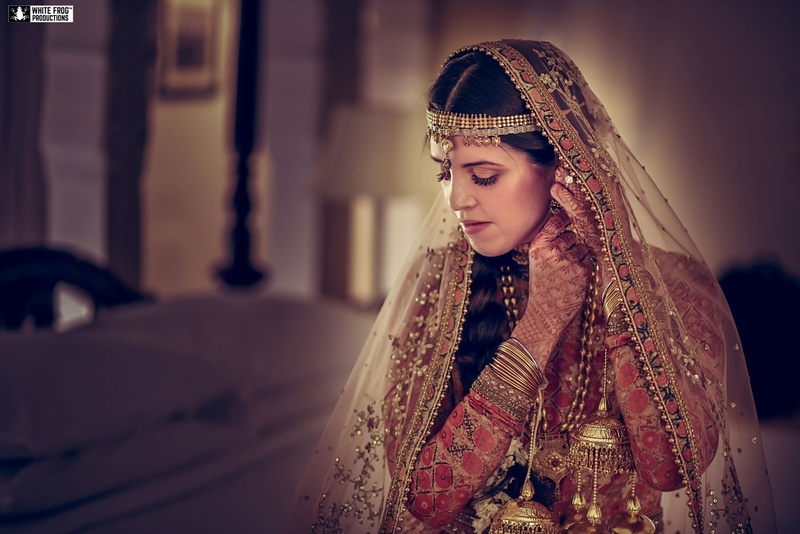 Adorned in gold bridal jewellery for the sikh palace wedding. 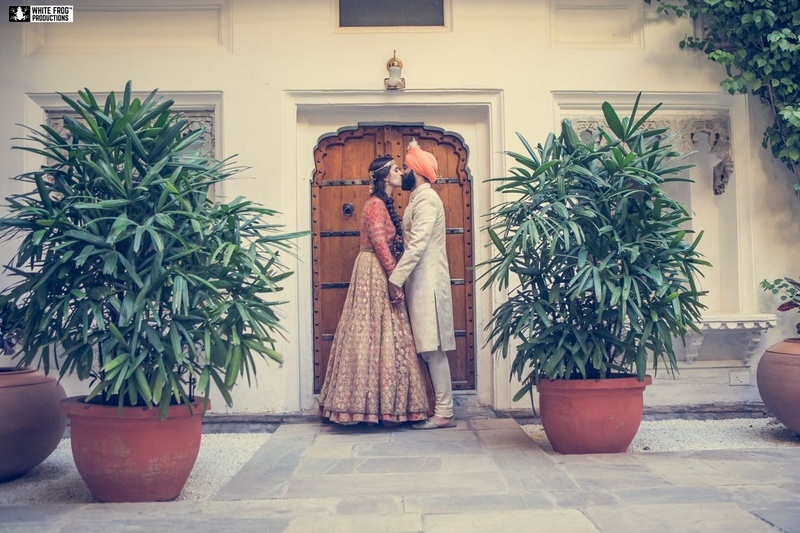 Couple shot royally taken by White Frog Productions. 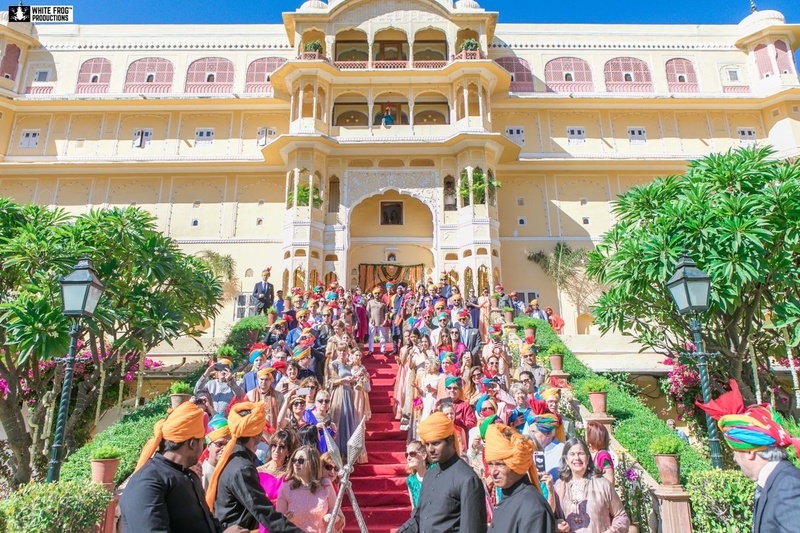 The grand royal baraat arrives at Samode palace, Jaipur. 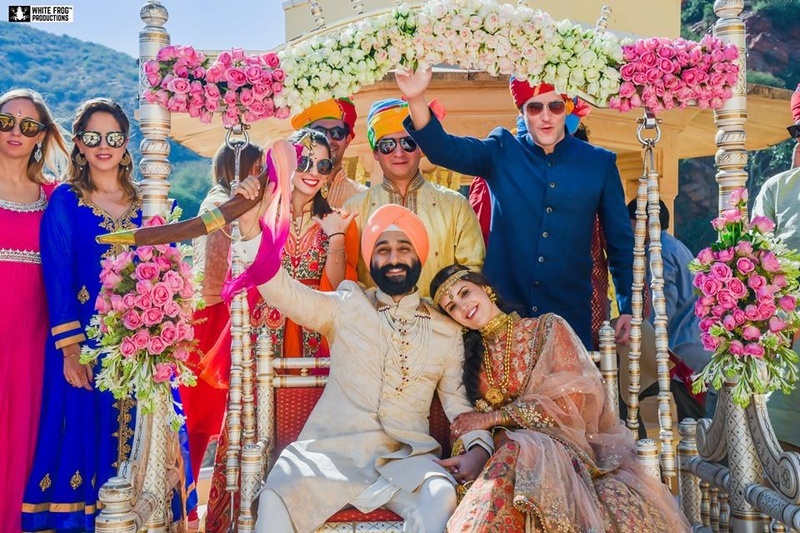 Baraat at Samode Palace, Jaipur. 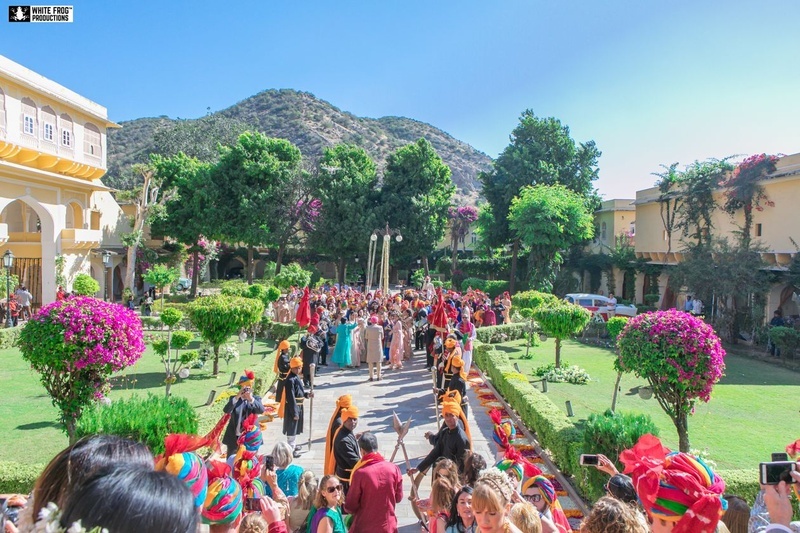 The royal varmala held at Samode palace, Jaipur. 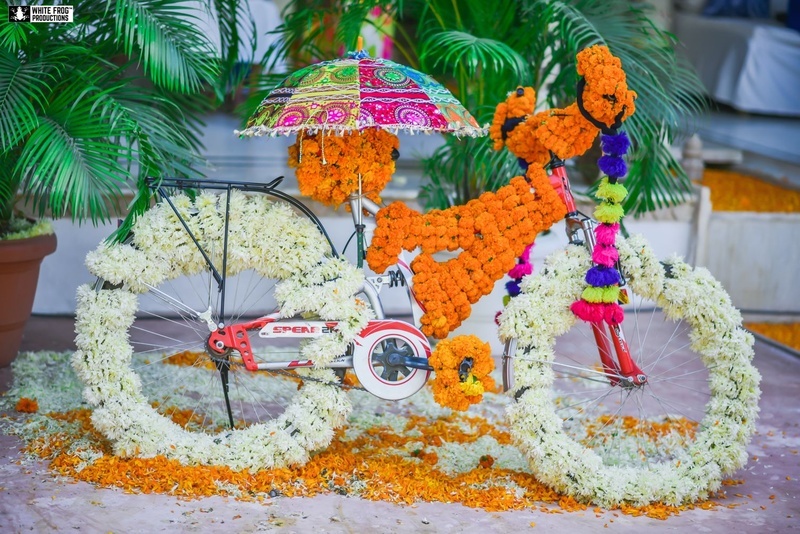 Royal Varmala with beautiful flower garlands! 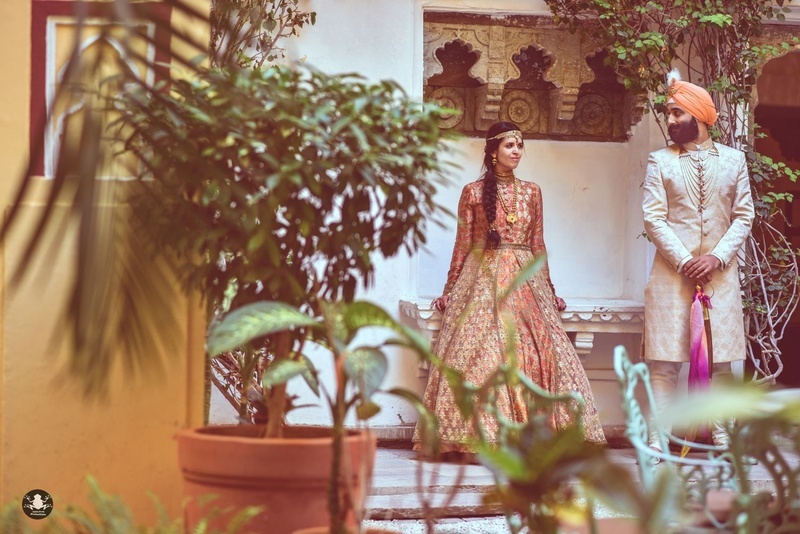 Post wedding couple photoshoot by White frog productions. 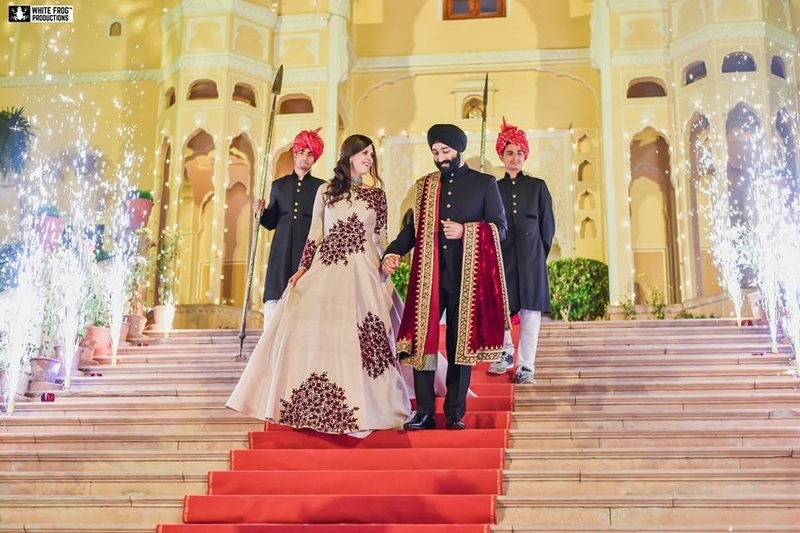 Beige colored gown with wine colored embroidery patches for the royal wedding reception. 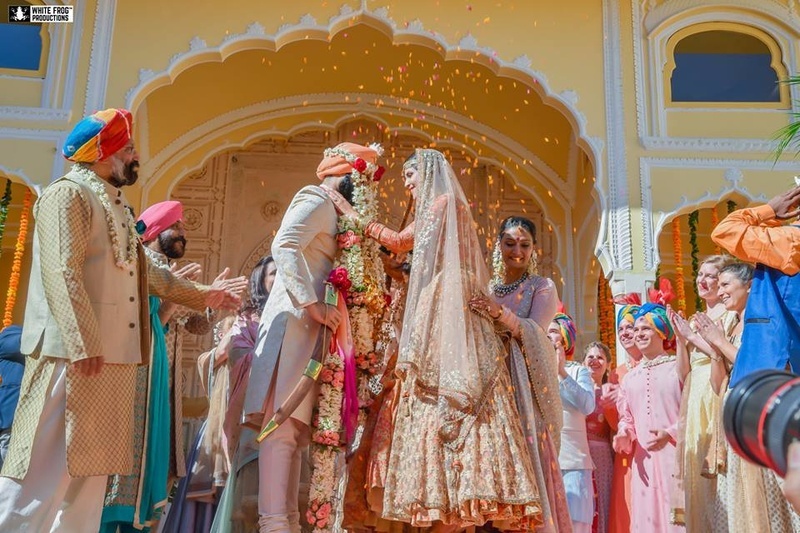 Bride and groom entering the reception ceremony held at Samode Palace, Jaipur.